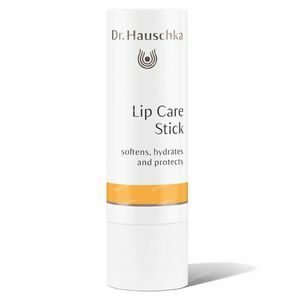 Dr. Hauschka Lip Care 4,9 g order online. Lip Care Stick softens and offers protection for lips prone to dryness. The practical companion for silky soft lips while out and about, providing light sun protection (SPF3). Formulation: shea butter, beeswax, almond oil and anthyllis seal in moisture and protect even the most sensitive lips. Apply to lips as often as desired. I'm really glad I got to know these product. They're natural based so there's minimal chance of allergic reactions. Yes they're more expensive but they're more effective too. Like so many products from Dr Hauschka, this is a must have. It hydrates and shines, I use it daily to replace my gloss and it's discreet.